The map Vinweizen Inseln is a fictional map with over 500 territories, recommended for 4-99 players. Duels also can be played, but i guess this would be really boring on this map. it is my first self created map. It has 4 Main islands located in the north, south, east and west. On every main island are 4 Cities worth 10 armies per turn. The Center is a group of islands with a city located on every island. the map also includes a north and a south pole, each pole has one city. So the cities give the disadvantaged player in the middle ( because he is in the middle and has to fight the players from the 4 main islands ^^ ) an advantage of troops to get a fair game. - even if you have to start in the middle you have a chance to win the game. the two poles have the advantage to be on the edge of the map. to get rid of this advantage i gave them less territories and only one city per pole. Review by Nathan on 4/14/2015. Fun map - the cities being worth 10 armies each lends a completely different flavor to this board. That being said, you really need some more distributions. The only ones right now are for just a couple of players or are grouped very tightly. 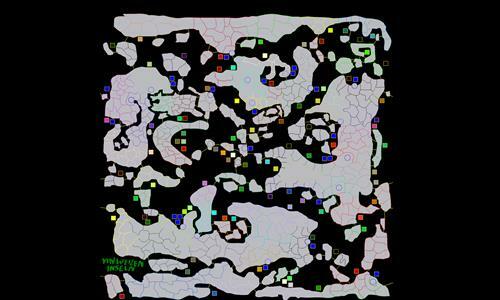 You could introduce some territorial distributions that are spread across the entire map. You could also create a distribution that starts players in 10-army cities only. Review by okasan on 4/6/2015. Map looks like it's got nothing special to offer, a slap-dash description and some 'wacky' names: but there's a surprise, this map delivers against the AI a very strategic battle, with plenty of choke-points. A first run-through took 41 moves, with the balance of power swinging this way and that. Highly enjoyable, really nice map. One broken link: Kartoffel to Bra. Very messy making it hard to plan ahead. Review by warhawk on 3/8/2016. good size map, will not take forever to play, unless aplayer starts to run. There is like no way to cut 'em off. Review by beattyballs on 1/13/2018. Review by A_B3 on 2/22/2018.